One of my favorite side dishes for Meatloaf is Roasted Banana Squash, especially in the winter time. This recipe is pretty healthy depending on how much butter you use which you can substitute extra virgin olive oil. This recipe is super easy. The hardest part is cutting the squash. If you are lazy like me, you can buy your banana squash cut into halves with the seeds already removed. Cut the outside layer of skin off of your squash. I find the best way is to cut your squash horizontally in half. Stand the squash on the side you just cut and slowly use a sharp knife to slice the skin off the back of the squash. Repeat until all skin is removed. Another trick is to pop your squash in the microwave for 30 seconds to soften the skin and you can cut the skin off with a knife or a peeler. Cut banana squash into one inch chunks. Place your squash into a glass pan. 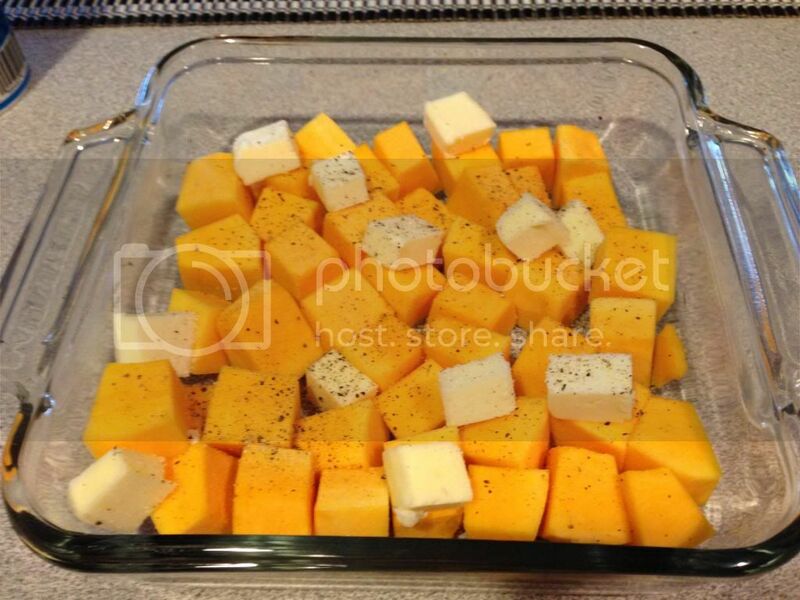 Cut your butter into small chunks and place on top of squash. If you are using EVOO, drizzle a couple of swirls of EVOO over the banana squash. Season your squash with your spices. 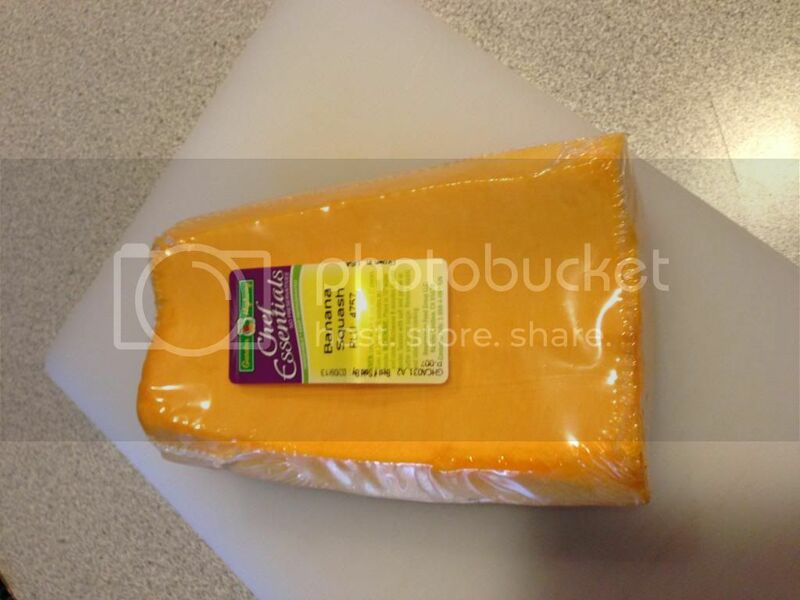 Place in oven and cook for 45 minutes to an hour. Squash will be slightly browned and fork tender. Note: I was too excited to eat, that I forgot to take a finished photo, but I know I will be making this again very soon, so I will upload one at that time.